Mosca "Yhyh Rob's is the best of the lot. Safe"
Dualton "thx mate, robs and radio slaves remix are big, will support." Agnes "Hi Kev, yes cool tune from Rob, not sucha fan of the rest but the Rob tune is cooool. thanks"
Joyce Muniz "thx i really like it nice one"
Nuno Dos Santos "Thanx man! Really like the Radioslave remix! cheers!" Dimitri Nakov (Ushuaia) "Ace remix indeed! Wicked. Thank you." Nicole Moudaber \"thanks ! x greets from nyc\"
Jelo \"thanks, I like it\"
Harri \"Cheers Kev....Original and radio Slave mixes for me : D\"
Edu Imbernon \"Radio Slave remix is soooo good!\"
Rob Mello \"Very nice mate. If you could a WAV of the original and Radio Slave mix would be great.\"
Steven Braines (for Maya Jane Coles) \"cheers big guy\"
Jon Dasilva \"thanks Kevin! \"
Stefan Riesen \"thanks a lot for this! great stuff!\"
Thomas Gandey s return is warmly welcomed by dance-floors worldwide. The artist formally known as Cagedbaby has consistently made tough, deep, cutting Techno and House based tracks, and his latest offering The Piano Track is no different. Mr.Gandey upped sticks to Berlin last year and one can really hear the city that holds so much weight in the history of dance music, in this his latest production. Like Ronseal, The Piano Track does exactly what it says on the tin. It s a track laced with piano hooks. 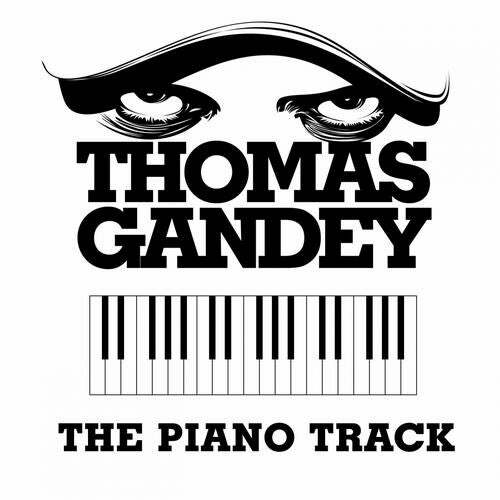 It s stylish, sophisticated and genre-busting, Thomas Gandey really has gone for the ultimate goose-bump rush! Radio Slave and Thomas Gandey have long admired each other s work. They have a history of producing and DJing together and like Tom, Matt (Radio Slave) also comes from Brighton and now lives in Berlin. After hearing The Piano Track he dived straight in to the remixing it. In actual fact Radio Slave remixed the track in a different key and Tom re-played the piano making for a really special Radio Slave re-work. The two other remixes on the package come from Southern Fried favourite Keith aka Marco Palazzo (one half of Italian duo Keith & Supabeatz), who serves up one hell of an Electro stomper that will rip sound-systems to pieces. And Rob Etherson (Glasgow Underground), the Glaswegian keeps things deep with a dance-floor friendly mix that marauds it s way through a concrete jungle of Techno!